Late last month, an LG Korea official surprised many LG G4 and LG V10 users by claiming that the phones will not be updated to the new Android 7.0 Nougat OS since their hardware is not optimized to work with this version. It was clear that current owners of the two phones were not impressed by this decision from LG, something that the company was also quick to notice, thus reversing its earlier stand not to release the OS. So far, those using the LG G4 and LG V10 in South Korea can be sure of receiving the latest Android 7.0 Nougat update later this year, but the story cannot be confirmed for other markets, including the U.S. Still, chances are high that the Nougat treat will make it to the U.S. at some point in the second half of this year, but the date is still unknown. On the brighter side, the South Korean company is still actively working on monthly security updates for the 2015 flagship, with the latest version for the month of February currently rolling out to those using the phone on AT&T. Of course, Google has already released this month’s version, but carriers are always late when it comes to making these updates available, which is why we here at Nashville Chatter have always preferred working with the unlocked variants. The AT&T update brings software version H81022d and is still based on Android Marshmallow. While LG G4 and V10 users will have to be patient until H2 2017 in order to receive Android 7.0 Nougat OTA, their 2015 counterparts from Samsung are already receiving the update, at least in Europe. Both Samsung Galaxy S6 and S6 Edge are already receiving the update on a number of European carriers led by Vodafone, which is available in quite a number of countries, including the UK, Netherlands, Germany and Italy, among others. It might take a few weeks before the update comes to AT&T and other carriers across the U.S., but it is possible that the next security update will come alongside the updated Android 7.0 Nougat for both Samsung Galaxy S6 and S6 Edge. This is not a guarantee, but since the OS is already rolling out, it shouldn’t be long before the update comes around. 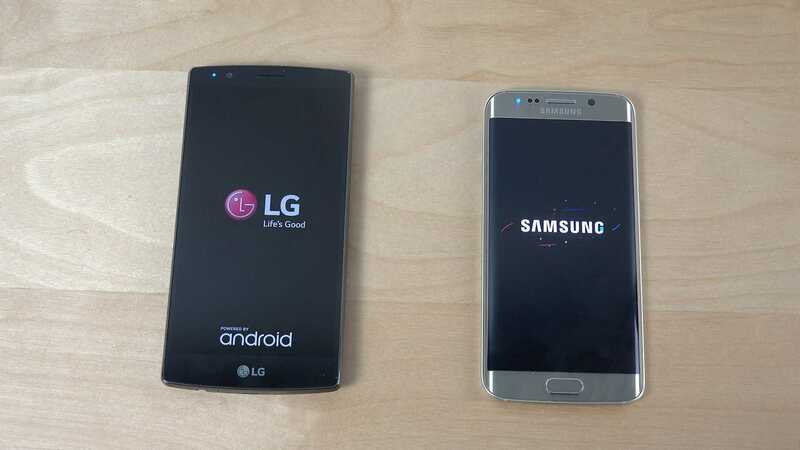 At the moment, AT&T users of Samsung Galaxy S6 and S6 Edge will have to be satisfied with software versions G920AUCU5DQB3 and G925AUCU5DQB3, respectively, which are still based on Android Marshmallow, just like the LG G4. Although a mere monthly update, it weighs between 286MB, which is a little heavy. But to install it, your phone must be running at least version PK3, PK5 or PKA. If otherwise, you may be facing the prospects of downloading and installing more than one update on your phone. In addition to updating the security patch level to February 2017, the update also takes care of the carrier’s Messages Backup and Sync problem as well as enhance call quality.